EdTechTeam Teacher Leader Certificate is an online cohort that will inspire and empower teachers to make a difference in their classroom and change their learning environment. A Teacher Leader is committed to the ideals of Courageous Leadership, Empowerment, Student Agency, Inspiring Spaces, and an Engaged Community. 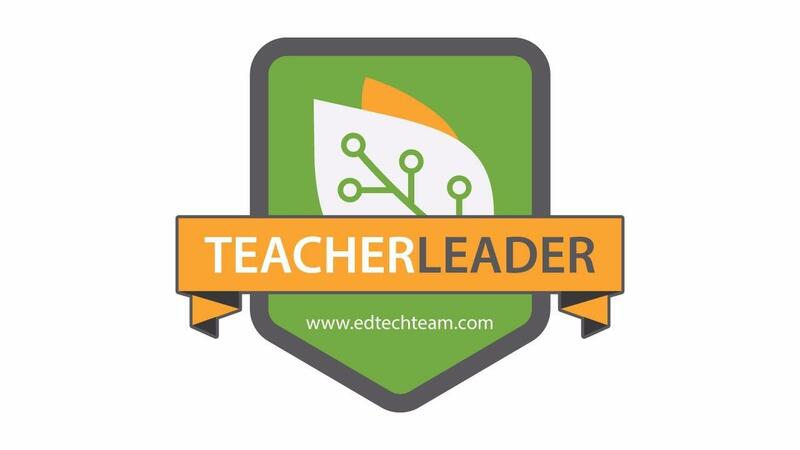 EdTechTeam Teacher Leader Certificate is a cohort that will inspire and empower teachers to make a difference in their classroom and change their learning environment. A Teacher Leader is committed to the ideals of Courageous Leadership, Empowerment, Student Agency, Inspiring Spaces, and an Engaged Community. This 12-week cohort will embrace emerging technology and current research and best practices to take an organic look at how teachers can successfully guide students to optimum success and learning. Teachers will spend 2 weeks on each of the 6 courses: Global Collaboration and Community, Project Based Learning, Flipped Learning, Visual Literacy, Assessment and Redesigning the Learning Space. For each course, participants will be required to spend ~2 hours reading and reflecting. They will spend ~4 hours completing individual activities that will build on the learning outcomes for the course and ~3 hours collaborating with either cohort members or with experts on each topic. Each course will end with a final project that teachers will be able to take back to their classroom and immediately implement. Upon completion of the Cohort, teachers will receive an EdTechTeam Teacher Leader Certificate and 6 Graduate Credits. ~7.5 hours per week – flexible and on your own schedule!